+Engaging Content writing engaging content with a strong but natural call to action is imperative for positive brand awareness and high conversions aka clicks to your site. Not to mention, this content is transforming hearts and minds in Christ Jesus! +Collaborations and Post Swaps exchange posts, video, or blog post with an Instagram account, YouTube account, or popular blog with your same audience but a noncompeting product/service. This is a great way to exchange audiences that are in your ideal target market. This is a service we can add on at an hourly rate of $75/hr. We plan, strategize, and design all Instagram posts. We monitor posts to optimize post day/time for optimal engagement. 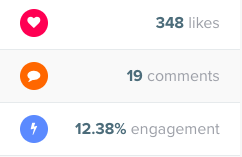 We monitor comments and provide community management, alerting you to any inquiries beyond our brand knowledge. We create custom branded graphics. We source ‘on brand’ images. We research hashtags for optimal reach. We engage with your target market locations and hashtags as well as target market accounts and their followers to build an organic, primed following of potential customers and brand ambassadors. We always follow social media etiquette and never follow/unfollow accounts. We provide engagement kickoffs for increased engagement and exposure for posts. We provide Instagram’s maximum allowed impressions per day to grow a targeted following. We provide you with a monthly post content and design plan prior to posting to ensure all posts are ‘on brand’. We provide you with an end of quarter report to monitor account progress. We also offer an Engagement and Growth Package which includes No Posting. You would consistently post to your account and we would target the current audiences that have been converting well. >>>>*We only sign on clients for this service once they have utilized our Full or Part Time Instagram Management package for three months or more or have an already optimized account as verified by LACE Photo Media. +One monthly strategy call to strategize posts with products, services, and free promotional offers. +ROI strategy plan to strategize numbers and see how the new and existing products, services, and promotions provide a solid return on investment for your Instagram management. First of all, CONGRATULATIONS on the impact you’re making and the support you’re providing, Erika! The impressive growth of @faithfulmoms, selling out the Faithful Life Planner, and the feedback you’re receiving speak volumes about your dedication and what you’re doing with the Faithful Moms platform! Give God the glory and let him encourage you in all you’re doing to make this happen! Your faith based mission has so much potential for growth and is quickly gaining momentum. We’d LOOOVE to help you capitalize on that and make the biggest impact possible! For us, mission based businesses mean the most because they make a difference - and a faith based business that spreads the message of Jesus is even more important! This is the possibility we envision if we continue with your current Part Time Instagram Management plan (and perhaps even upgrade to Full Time Instagram Management one day as you continue to grow!) along with the bonuses above. Looking forward to all that is to come for you and Faithful Moms! Let us know if you have any questions!